I am in need of a word to describe an old, bad conditioned car that is yet still running. Ragged came to my mind, but it seems to be inappropriate for things not related to clothing. Wrecked is also not what I'd like to use. However, this shall be used in a work of literature, so a neat paraphrase would be fine. Usage example: "We hopped in the jalopy and rattled off to town." Competitors: Words like junker, heap, and clunker are probably also heard more frequently in the New York than in the south. Jalopy has the advantage of unambiguously denoting an automobile without additional context, which is unlikely to be true of the other words. Archaic: If we take archaic to mean having the characteristics of the language of the past and surviving chiefly in specialized uses (m-w.com) then yes, "jalopy" is archaic, as "somewhat old-fashioned" was intended to indicate. 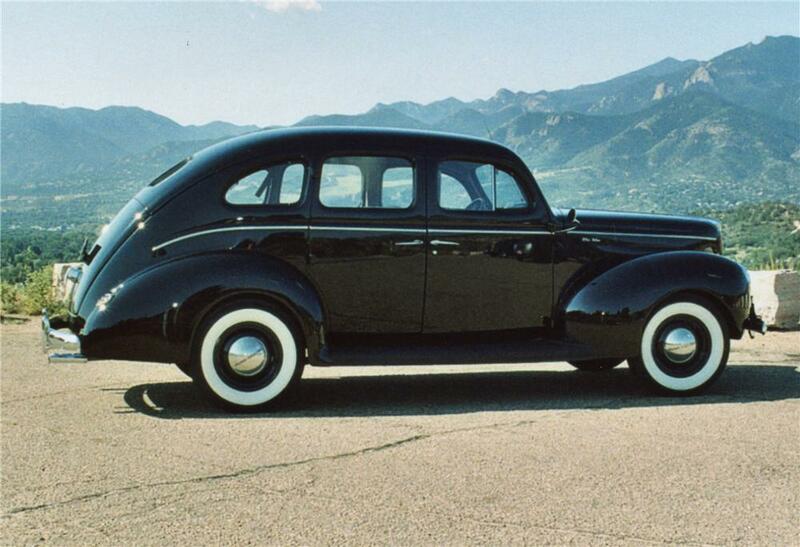 However, a list of archaic words found at http://www.oxforddictionaries.com/us/words/archaic-words-american consists mostly of words that are far less familiar than "jalopy." It appears to be a question of where we draw the line. It is also possible that jalopy is enjoying a revival, as evidenced by the popular culture references mentioned in the comments. On a family visit to Windsor Safari Park just to get used to his new car, a jumpy old banger with steering wheel stick-shift gears, Ron was flagged down by a policeman. They are not supposed to be working but their entrepreneurial skills include buying old bangers at the car market and fixing them up for resale. (of machinery or appliances) worn-out; dilapidated. You might consider one of the many slang words for such a car -- hooptie, junker, clunker, beater, etc. Sources: Urban Dictionary and The Free Dictionary. 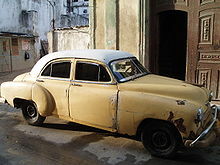 In Australia, a poorly maintained/rusty car is called a "bomb" or a "bomby car" and described as "bomby". In Australian slang the terms rust bucket, 'bunky', old bomb, paddock basher or bomb are used to refer to old, rusty and/or rundown cars. Here in Australia, we use the term "shitbox" (a slang) to refer to cars that are in bad condition, or cars that are just bad. Mate, my car's a shitbox. Barely gets to the local pub before she shits herself. I'd go with battered, though. an untidy or dilapidated place or vehicle. "they climbed back in the heap and headed home"
4 North American informal An old or dilapidated vehicle. My 1940 Ford Fordor that is mostly original parts is a survivor, but that term is used only by hot rod enthusiasts. Flivver comes to mind also beside modern slang terms. The use of jalopy superseded flivver over time but flivver has this nostalgic feel. It is an outdated term itself but it is still used, especially in novels. The luge is the Swiss flivver. Flivver is also used for cheap and old aeroplanes. 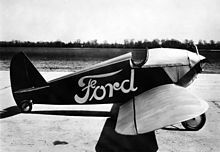 The Ford Flivver was a single-seat aircraft introduced by Henry Ford as the "Model T of the Air". Numerous slang terms are used to describe such cars, which vary by country and region, including hoopty, jalopy, shed, clunker, lemon, banger, bomb, beater, rust bucket, voodoo, wreck, or rattletrap. Man, we had to ride in this old car to get to the mall. Things were clanking and the breaks were like almost gone on the thing. That car was nothing more than a death trap, and I am surprised we made it there and back in one piece. It's a niche British English use for a cheap knockabout car. All of my cars in the '70s were "beaters." Aka "rust-buckets" or "heaps." And a few were quite literally possible "deathtraps." (Like the one that dropped a tie rod in a.m. rush-hour traffic on a 4-lane highway; or the engine fire in the middle of the night, on a rural desert road; to fondly recall a couple.) These were the most common names we used for our "junkers" in the Midwest US at the time. A bit of trivia - Average cost: $100-150. Average lifespan: 6-9 months. Money back at the junkyard: $50. "beater car" is the term I use for my old beat up backup/don't care where I park/leave it car. An old kronk, a clapped-out motor are my favourites. More over at Wikipedia. (slang) an old, worn-out car. Usage: "Your hoopty's missin a hubcap, man!" If I remember correctly, it's got origins in Detriot, but someone might have to check me on that. If you're trying to describe a car that only looks old and worn out but still runs well, consider rat rod: a style of antique car restoration which leaves rust and other effects of time unaltered, or even simulates them. 'dilapidated vehicle' is the best that I can think of. Cheers! I soon realized the van was a lemon. The world turned their backs on cars like us. They stopped manufacturing us, stopped making our parts. The only thing they haven't stopped doing is laughing at us. They've called us terrible names: jalopy, rust bucket, heap, clunker, junker, beater, wreck, rattletrap...lemon. Worn out from long use or neglect; dilapidated. Shabbily dressed because of poverty; seedy. Source: American Heritage® Dictionary of the English Language, Fifth Edition. : Worn out by long travel on roads, or (figuratively) in a damaged or depleted state due to constant or prolonged usage or exertion. Mark Anthony, The Dark Remains, Bantam Spectra (2001), ISBN 0553579355, page 10: Now that they were close, Lirith could see the vehicles were more than a little roadworn: wood cracked, gilt peeled, and dust flecked sun-faded paint. Is there a term or adjective to describe this plot device? Word that means “in good condition”? Is there a word to describe the phenomenon of “passive recollection”? Word for an old, cheap car you use in your daily routine instead of your new one?